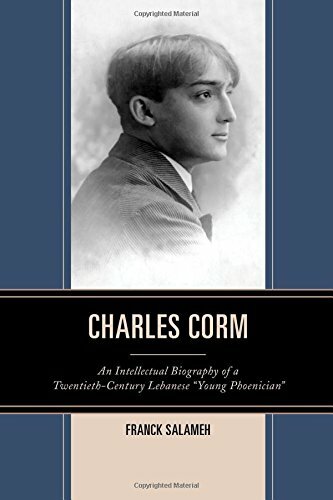 In the new book, Charles Corm: An Intellectual Biography of a Twentieth-Century Lebanese “Young Phoenician” (Lexington Books, 2015), Associate Professor of Near Eastern Studies Franck Salameh writes about Lebanese writer and businessman Charles Corm, an influential figure in the nationalism movement that led to Lebanon’s independence. Salameh delves into the history of the modern Middle East and into Lebanese intellectual, cultural and political life as incarnated in the ideas, and as illustrated by the times, works and activities of Corm (1894–1963). A leading figure in the “Young Phoenicians” movement, Corm became “the conscience” of Lebanese society at a crucial juncture in its modern history, according to Salameh. This entry was posted in Boston College Authors and tagged Lebanon, Middle East, Slavic and Eastern Languages Dept. Bookmark the permalink.